Nina Nesbitt has revealed the songwriting credits for her debut album. The Scottish singer/songwriter is scheduled to release her debut album, “Peroxide,” on February 17 via Universal Music Group / Island Records. The set features new single “Selfies,” written by Nina Nesbitt along with Thomas Kirkpatrick. The track is now available for download via iTunes. It also features “Mr. C,” co-written by Lily Allen along with Karen Poole (Leona Lewis, Kylie Minogue) and Steve Mac (Shakira, Kelly Clarkson). Other songwriters and producers backing Nesbitt on “Peroxide” are Jake Gosling, Iain Archer, Chris Leonard, Nick Hodgson, and Rune Westburg. Peep the tracklisting and songwriting credits for “Peroxide” below. Written By: (Nina Nesbitt / Iain Archer). Written By: (Nina Nesbitt / Thomas Kirkpatrick). Written By: (Nina Nesbitt / Chris Leonard / Jake Gosling). Written By: (Nina Nesbitt / Lily Allen / Karen Poole / Steve Mac). Written By: (Nina Nesbitt / Nick Hodgson). Written By: (Nina Nesbitt / Jake Gosling). Written By: (Nina Nesbitt / Rune Westburg). Singer/songwriter Colbie Caillat has reunited the hit musician John Shanks for her upcoming fourth studio album, which is expected to be released later this year via Universal Music Group / Republic Records. Other notable songwriting and production credits by Shanks include “Pieces of Me” by Ashlee Simpson [Geffen Records], “Breakaway” by Kelly Clarkson [RCA Records] and “Taking Chances” by Celine Dion [Columbia Records]. The still-untitled collection by Caillat – which serves as the follow-up to 2011’s “All of You” – is confirmed to boast further contributions from Jason Reeves, Kara DioGuardi, Toby Gad, Natasha Bedingfield, Rune Westburg, and David Hodges. 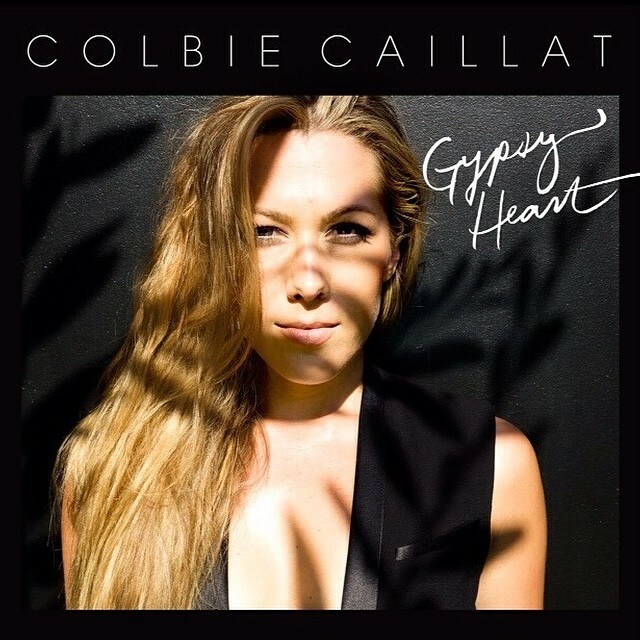 Colbie Caillat has recently recorded a duet with Natasha Bedingfield for her upcoming fourth studio album, which is expected to hit the shelves later this year via Universal Music Group / Republic Records. The British songstress has previously teamed up with artists including Nicki Minaj [Republic Records], Brandy [RCA Records], Lifehouse [Geffen Records], Simple Plan [Atlantic Records] and Rascal Flatts [Big Machine Records]. She’s also putting the final touches on her next album, which serves as the follow-up 2010’s “Strip Me / Strip Me Away” [Sony Music Entertainment / Phonogenic / Epic Records]. The new collection is confirmed to sport alliances with Lucas Secon, Diane Warren and Linda Perry. Meanwhile, the as-yet-untitled collection by Caillat will generate further productions and songwriting contributions from Jason Reeves (Angel Taylor, Katharine McPhee), David Hodges (Avril Lavigne, Kelly Clarkson), Rune Westburg (Adam Lambert, Kris Allen), Toby Gad (Robin Thicke, Beyonce Knowles) and Kara DioGuardi (Christina Milian, Britney Spears). 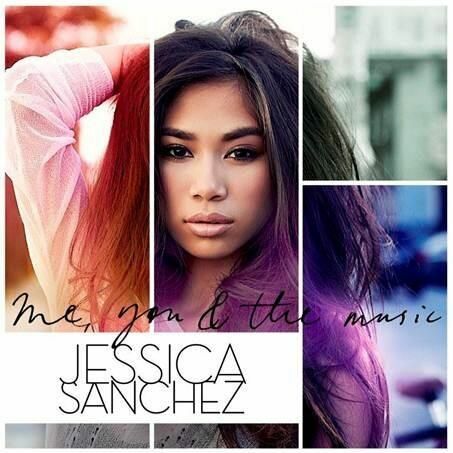 Jessica Sanchez has unveiled the official songwriting credits for her upcoming debut album, “You, Me & The Music,” which is due in the United States on April 30 via Universal Music Group / 19 Music / Interscope Records. Lead single “Tonight” was written by Shaffer “Ne-Yo” Smith along with frequent collaborators Tor Erik Hermansen and Mikkel Storleer Eriksen of Norwegian songwriting and production duo Stargate. Other album producers include The Underdogs: Harvey Mason Jr. & Damon Thomas (Justin Timberlake, Mario Barrett), Jonathan “J.R.” Rotem (Melanie Amaro, Usher Raymond), Toby Gad (Brandy, Robin Thicke) and Benassi Bros: Marco “Benny” Benassi & Alessandro “Alle” Benassi (Madonna, Chris Brown). Songwriters include Ester Dean (Ciara Harris, Keyshia Cole), Crystal Nicole (Kelly Rowland, Alexis Jordan), Victoria Horn (David Archuleta, Selena Gomez), Olivia “Livvi Franc” Waithe (Jordin Sparks, Britney Spears), LaShawn “Big Shiz” Daniels (Jennifer Lopez, Tamar Braxton), Sia Furler (Katy Perry, Neon Hitch) and Makeba Riddick (Cassie Ventura, Jessica Simpson). “Right to Fall” – (Ester Dean, Chris Buettner, Marcello Pagin, Harvey Mason Jr., Damon Thomas). “Tonight” – (Shaffer “Ne-Yo” Smith, Tor Erik Hermansen, Mikkel Storleer Eriksen). “Don’t Come Around” – (Olivia “Livvi Franc” Waithe, Jonathan “J.R.” Rotem, David Stewart, Tom Petty,). “Crazy Glue” – (Victoria “Lady V” Horn, Jimmy Russell, Heather Russell, Rune Westburg). “No One Compares” – (Prince Royce, Makeba Riddick, Tobias “Toby” Gad, Marco “Benny” Benassi, Alessandro “Alle” Benassi). “In Your Hands” – (Crystal Nicole, Tobias “Toby” Gad). “Plastic Roses” – (Shaffer “Ne-Yo” Smith, Reginald “Regg” Smith, Jesse “Corparal” Wilson). “Drive By” – (Olivia “Livvi Franc” Waithe, Jonathan “J.R.” Rotem, David Stewart, Tom Petty). “You’ve Got the Love” – (LaShawn “Big Shiz” Daniels, Chris Buettner, Marcello Pagin, Harvey Mason Jr., Damon Thomas). “Gentlemen” – (Sia Furler, Tobias “Toby” Gad).